We love a good wine once in a while. 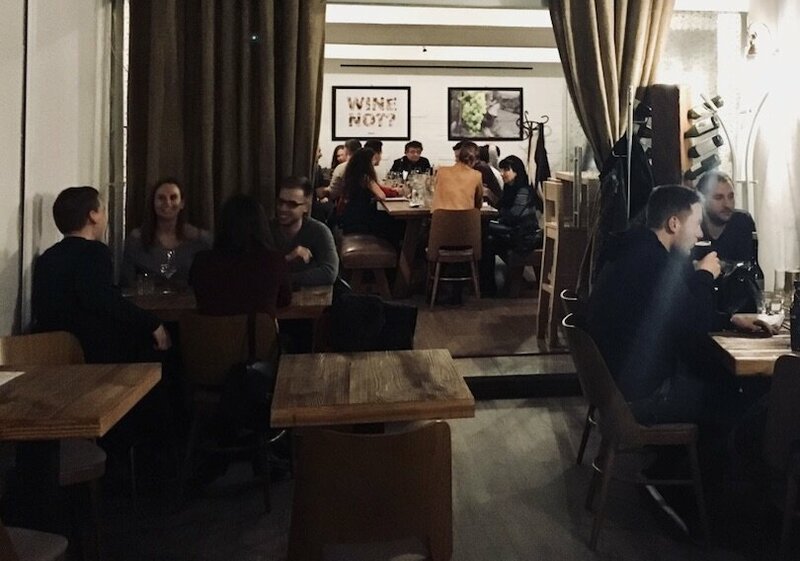 What we don’t like on the other hand is the often snobbish and pretentious flair that prevails in so-called “wine-bars” and the prices that come with it. 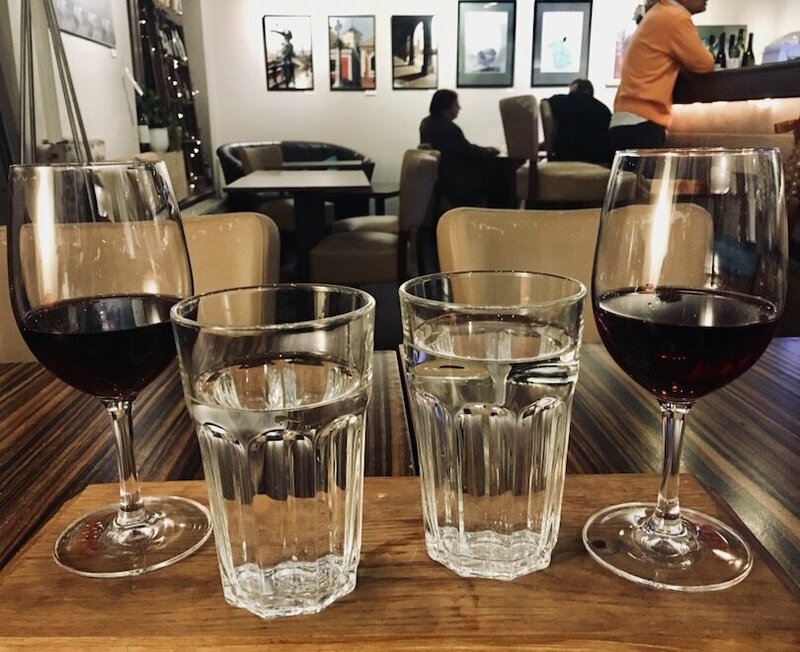 Still, we often don’t want to settle for the cheap “folyóbor” (flowing wine) that you get in most pubs of Budapest with a bonus headache the next morning. If you feel the same, you’re reading the right article. 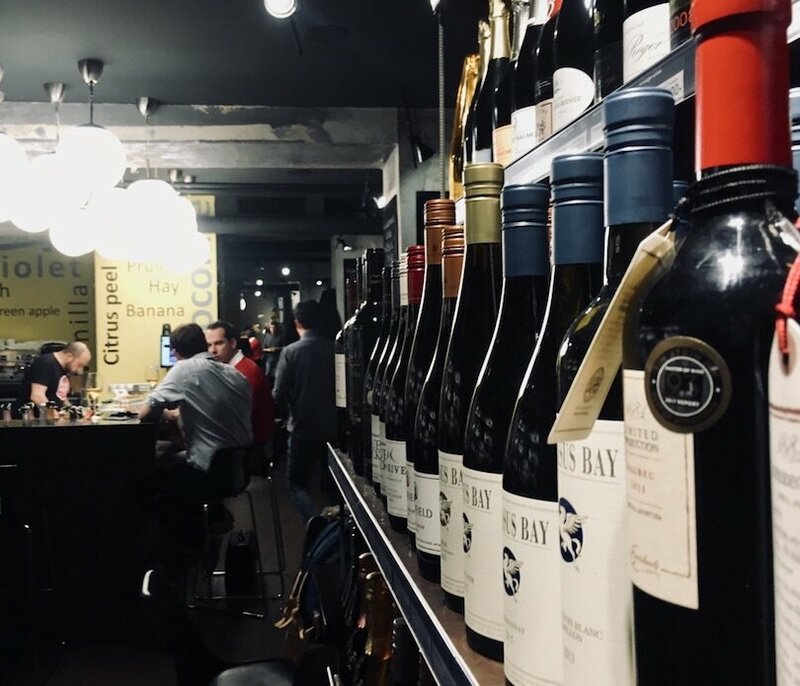 We have gathered the best wine bars for you in Budapest that serve good quality drops but are totally relaxed, casual and have down-to-earth prices. Plus we’ve prepared a crash course in Hungarian wines for you, since it never hurtmy mans to know what you’re drinking. Enjoy and forget those winter blues at one of these amazing places. Cintányéros is simply awesome, we love this place. 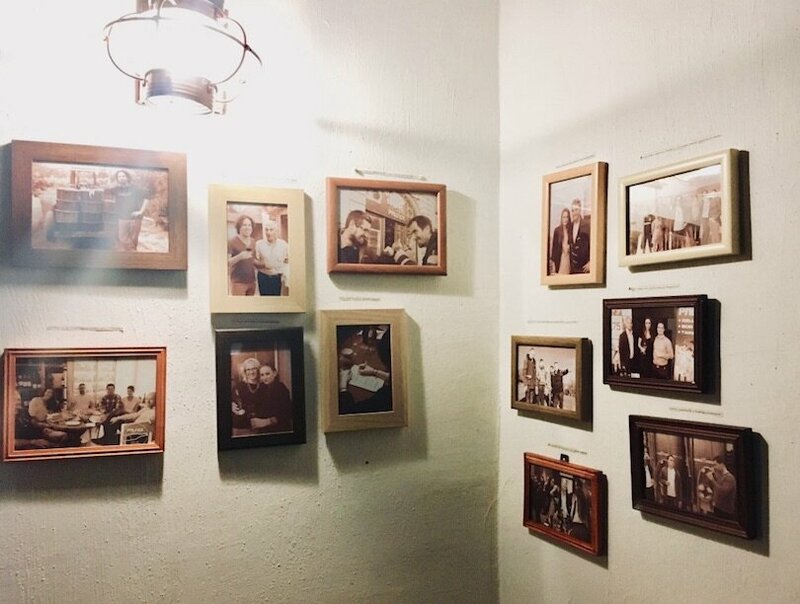 This bar, which is really not a bar but rather a friendly tavern, is run by a local couple, for locals and everyone else who shares a love for wine, music, good mood, great food and a super-friendly atmosphere. 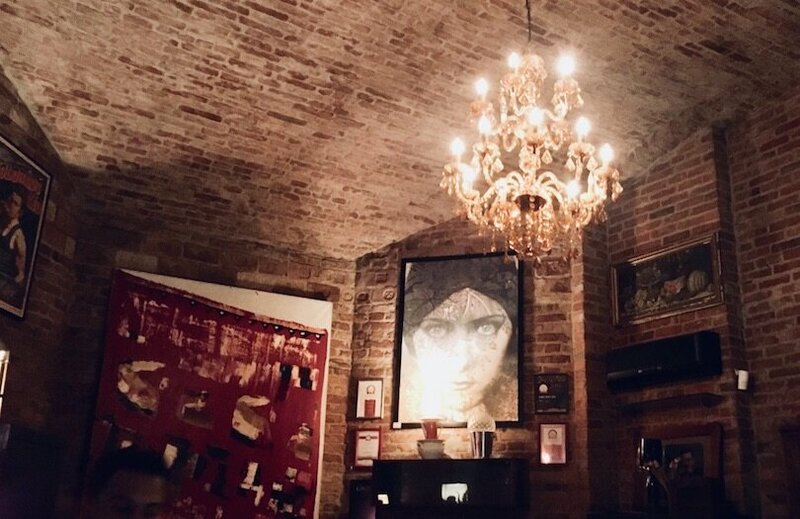 It’s located in a typical old and crumbling Budapest-building and the interior stayed very true to the flair of old times. There is even an old piano that’s there for everyone to play. And the food! Definitely go for the cheese and / or meat platter. We went for both. Their prices are more than fair. Cintányéros basically satisfies our every need and is a showcase example of the up-and-coming 8th district. We just hope it remains this friendly place as it is today. Address: Bókay János utca 52. This place is so many things wrapped into one. While this often leads to confusion and leaves customers disappointed, this is so not the case with Lumen. First of all, yes, they have really nice wines. Their selection is definitely not the biggest on this list, but the quality is good and the prices are more than reasonable (1dl between 500 and 900HUF). But Lumen is also so much more than wine. They have live music or some kind of other performance almost every night. They serve a great Goulash. The breakfast is excellent. And the crowd consists of pretty cool people – students from the Rajk László College next door, culture vultures and everyone else who likes to spend their day or evening surrounded by a great atmosphere. The place is open all day long, and during afternoons it’s also perfect for doing some work or reading a book. 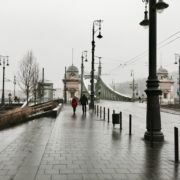 Don’t miss out on this place during your time in Budapest! Bonus: Live performances on almost every evening – check their schedule here! VinoWonka is unpretentious and that’s what we like about it. 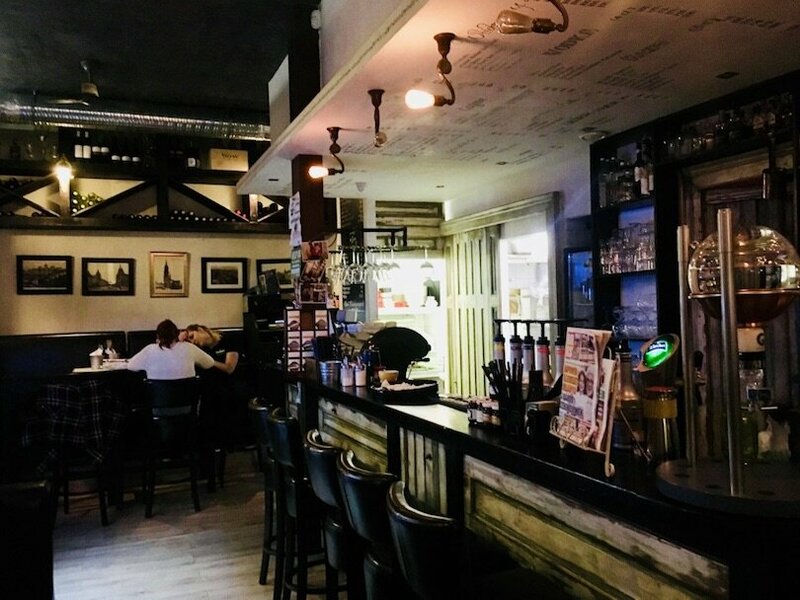 Located right in the heart of Corvin District, this is a typical residential bar serving great wine, food and chocolate cakes. There is literally nothing hipster about this place; the interior is nice and super cozy but you don’t get the feeling that it’s all about appearance and looks. This is the bar for a relaxing sip among friendly people with a good-quality drink in your hand. The range is super-wide, since they serve 140 wines from 22 locations all across Hungary, and only Hungary. 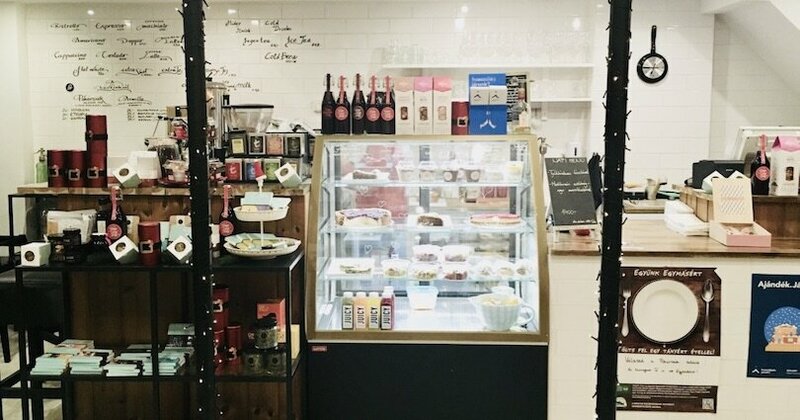 Plus they also have vegetarian sandwiches and snacks which is often a rarity in this city, but their obvious bonus are their delicious chocolates and bonbons that go perfectly with their wines. This place is a tad more upbeat than the previous ones but nothing you can not visit for casual wine-drinking. We suggest to take a seat right at the bar in case you just came for drinks. This way, you’re right at the source and the bartenders can give you some good recommendations (they’re super-knowledgable!) If you’re feeling hungry though, don’t hesitate to try their pizzas! They’re reasonably priced (all below 3.000HUF), while the rest of the menu is more on the higher-end. Oinos is located in the same building as Rákóczi Square Market Hall which provides for a beautiful brick-building with lots of glass-elements. A great combination! This is the place if you fancy a hint of elegance but don’t want to go overboard. Doblo is such a pretty place. 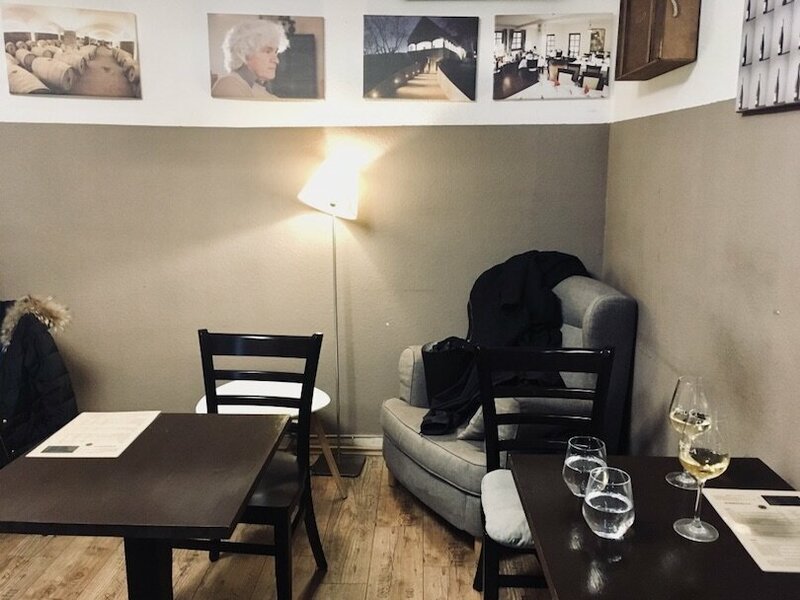 The interior is awesome – you’ll feel like in the cosiest wine cellar ever with old-style furniture and windows – and the wine is excellent. Oh, and there is live music almost every night. The staff is super-helpful and very knowledgable, so in case you feel confused about the selection, they’ll be sure to give you some ideas about what to order. Plus they of course serve some finger food so you don’t stay hungry. 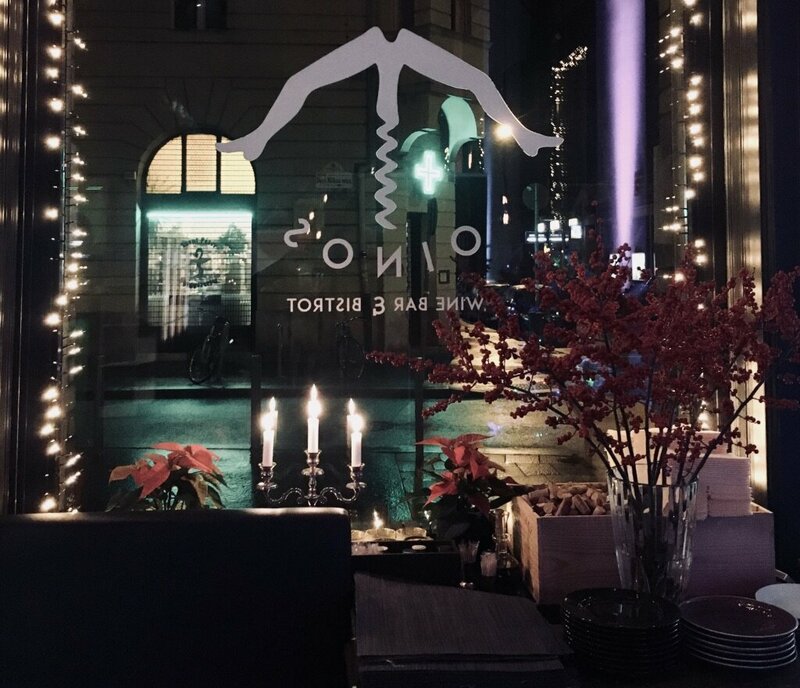 A great expat-hangout in a great area – you can perfectly integrate Doblo into a night around the Jewish district, since there are lots of other cool bars just around the corner. Kadarka is actually a popular grape variety in Hungary and that’s also what this place is all about. 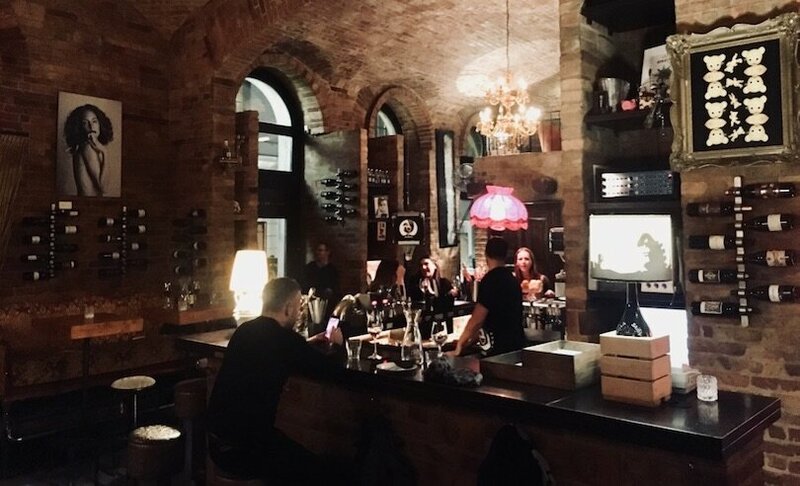 This place remained, despite of its super-central location – a very local gem and features the best wines from all across Hungary and beyond. The place is packed on weekends and for good reason. They usually will find you a spot however, but if you’re more than two people it does make sense to call beforehand and make a reservation. 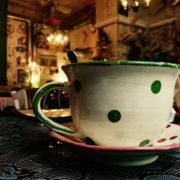 The prices are, again, very fair and include good staff-recommendations, snacks and a frisky atmosphere. Of course you can also take a bottled drink home if you liked one particularly. Kadarka is a great way to start any evening! Food: Everything you could possibly desire: finger-food, soups, burgers, warm dishes, desserts. Bonus: You can try super-rare Hungarian grape varieties here that you wouldn’t find elsewhere. We found this place by accident, after visiting an amazing exhibition next door at Mai Manó House of Photography (which is so worth to check out, as well!). 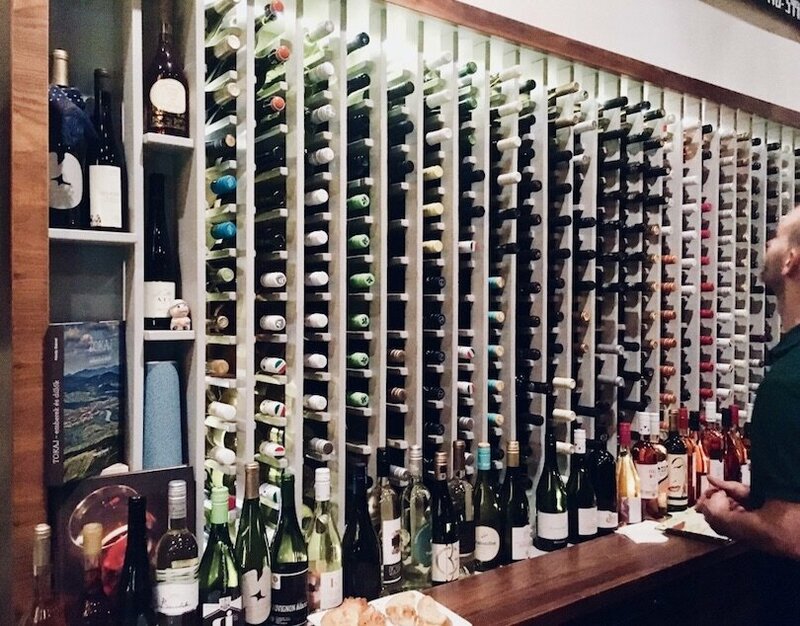 It is not a wine bar intrinsically but they have a great selection and – you guessed right! – good prices. 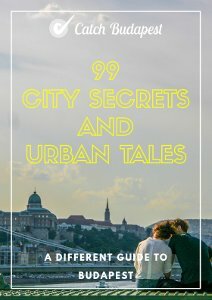 Since it’s located right in the middle of the “Budapest-Broadway” Nagymező utca stuck between Thalia Theatre and the Mai Manó House of Photography it draws a very interesting and peculiar crowd. We even bumped into Hungarian celebrities here so stay tuned! The interior is nice and has nothing tacky and cheesy about it. It’s definitely not hipster; we’d describe it as cozy and congenial. And frisky! Check it out yourself; you might come up with more fancy adjectives! Bonus: The chance of bumping into celebrities is definitely the highest here, since you’re right in the middle of theatres, exhibition spaces and even the Moulin Rouge. Another very local place right at the final station of the flagship-tramline nr. 2. at Margaret Bridge. Fortunately, most people don’t make it until the final station though, which is what made Drop Shop stay as authentic and residential as it is. Although this is not the cheapest place on our list the prices are still bearable and you can also order great tapas and paninis next to your wine. They also have a great selection of bottled wines which you can buy for your next guests. The staff is friendly, the selection is wide and you’ll somehow feel that you’ve left the very centre of the city. Hell, you’re almost in Buda! Bonus: Variety! Their wine-selection even changes during the day sometimes. Address: Balassi Bálint utca 27. Aaand now we’ve made it to Buda. And don’t fear – the other side of the capital is definitely not short on cool hangouts! 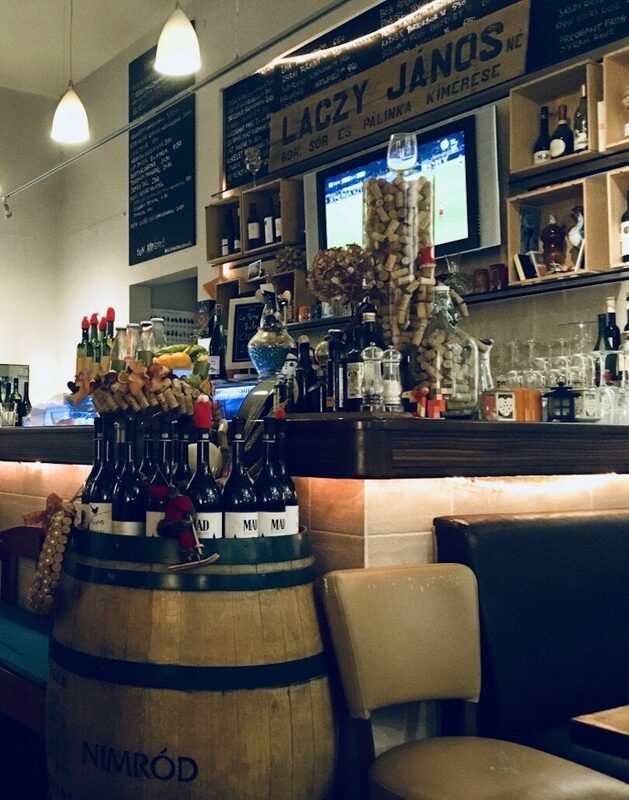 Szalonspicc is a super unpretentious little wine bar that caters to the residents of this part of the second district. It’s cheap, it’s local and has nothing fancy about it. Still, the wine is good, they offer burgers and snacks and the atmosphere is nice. Szalonspicc is a very sharp contrast to the wine bars you might be used to around the Basilica area and the inner districts but we somehow prefer these kinds of places, where you can simply come as you are. You can have a really great casual evening here! Right opposite of Szalonspicc we bumped into Wine Market Bistro and shop. This place also aims at the local crowd of the second district. Here, the value for money is actually remarkable – you get 1.5dl for just 500HUF and you can choose from a wide selection of food and snacks, too. The bar is simple but nice, the interior is rather traditional than hipster and all in all it’s a great place to have a glass or two far away from the crowds. 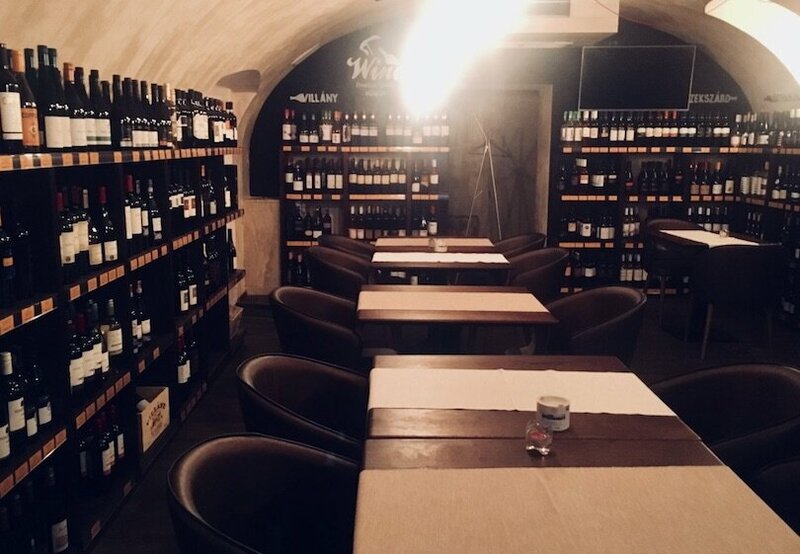 And obviously you can also take home a bottle or two; take a look at the back room where you have a myriad of choices from all the different wine regions of Hungary. 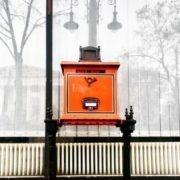 Our tip: Once you’re in Lövőház utca, don’t rush, but check out the street and its surroundings. For a few years now, Lövőház utca itself is car-free and you will find many cool little hangouts around. One of our other favourites is Nemo Fish Bar immediately next to Wine Market and Szalonspicc. If you come during the day make sure to check out Fény Street Market for a different market experience you might be used to from the Pest-side. Or head to Millenáris Park and see the Buda-version of a Japanese garden / park / hangout. Palack actually means bottle and this place has plenty of them. Located in a very different part of Buda right at Liberty Bridge, this place is another popular local hangout. The crowd is young and hip, the interior friendly with nice photos on their walls and the service is great. They also serve soups and other dishes and their selection is plentiful. If you’re looking for a non-touristy place not far from the city-centre, you will definitely like Palack! Address: Szent Gellért tér 3. Két Szerecsen is no wine bar in the classical sense. 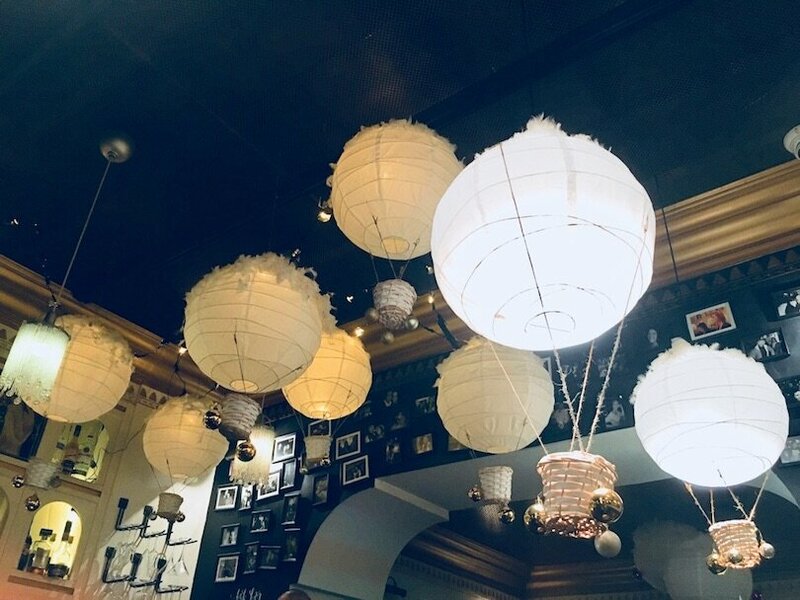 It rather reminds us of a classical Viennese coffee house and comes with great food and a really nice interior. They have great wine-selection though with lots of current and trending local wines. 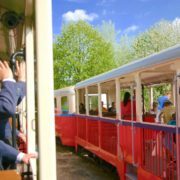 Despite its central location it draws a rather local crowd and is a great place to spend an evening with great food and drinks. 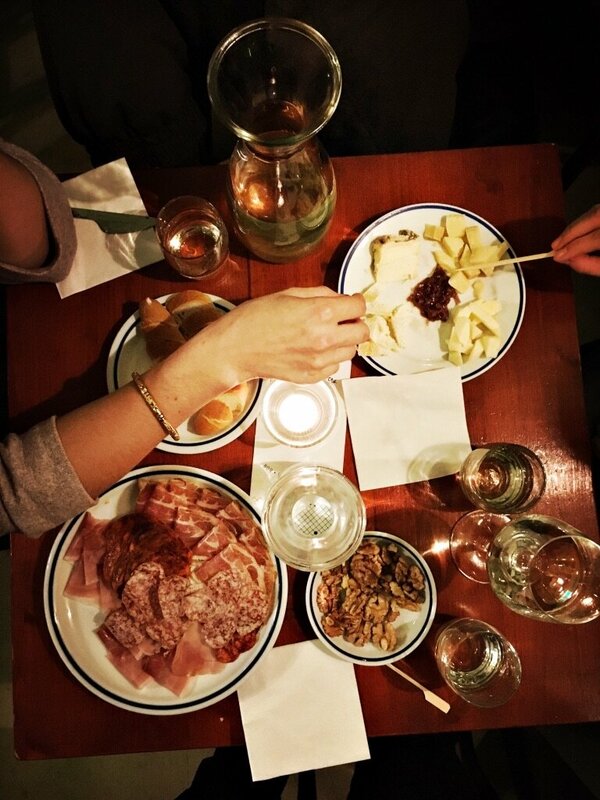 This is the place to go if you’re not after a wine bar per se, but a good combination of food and drinks in a century-style atmosphere. Oh, and if you happen to make it here during day time, definitely go for their cheap but good lunch menu! If you’re here even earlier, they still have you covered with breakfast. A true all-rounder! 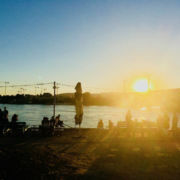 A cool curiosity about this place: They have a no-laptop-policy from 7PM onwards in order to remind us to enjoy our moments more and to appreciate where we are and what we’re doing: Eating and drinking right in the middle of Budapest, surrounded by great things and our favourite people. Sigh. Food: breakfast, lunch, dinner – you name it! “Tróger” actually means “tightfisted”, but the only tightfisted thing here is the prices. 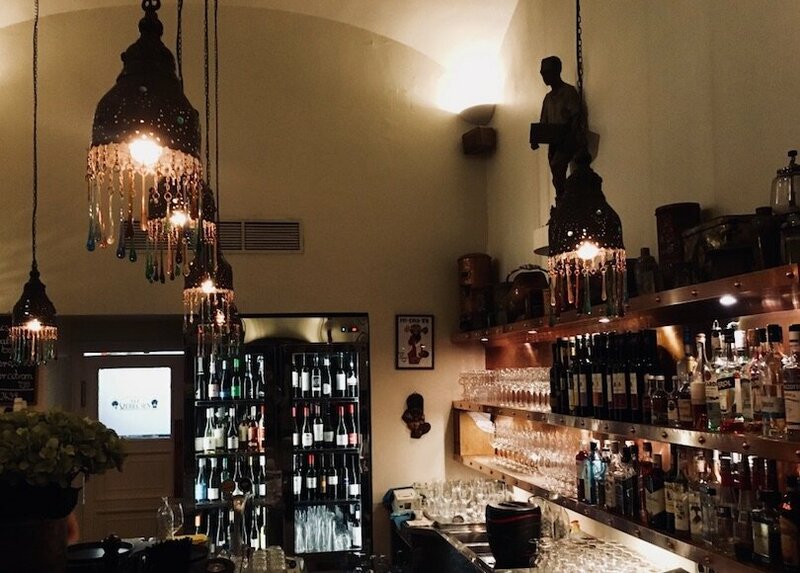 Tróger has a great, little and super-affordable wine selection and serves delicious Hungarian food if you fancy it. We tried the “Csirkepaprikás” (Chicken in paprika-sauce) and it was grandma-level. The super retro interior combined with two big screens playing MTV might take getting used to but this didn’t hinder us from having a good time here at all. Furthermore the service is really quick and friendly. Tróger is perfect if you’re in the Basilica-area but don’t like being separated from your money together with thousands of tourists. Great little place! Address: Bajcsy Zsilinszky köz 2. Pohárszék is like a cute little all-rounder treasure box in the Parliament area. The main focus is on wine; the selection is rather small but very carefully chosen. But this place has so much more. 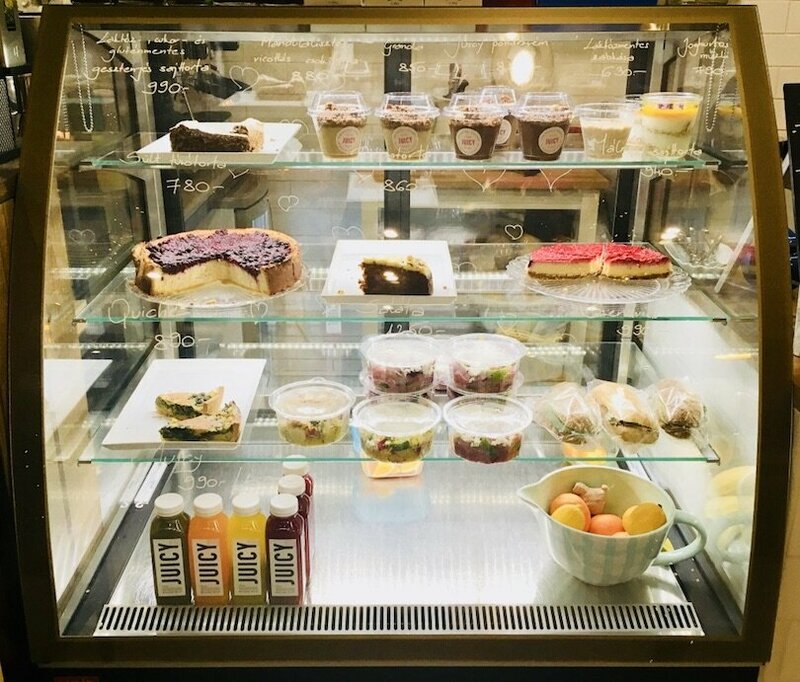 Try the delicious coffee and the homemade cakes. Or go for the good-value home-cooked lunch menu. Or drink a fancy Fentiman’s. Note that because of the opening times (see below) this place is for in-between, rather than for a full-on night out. 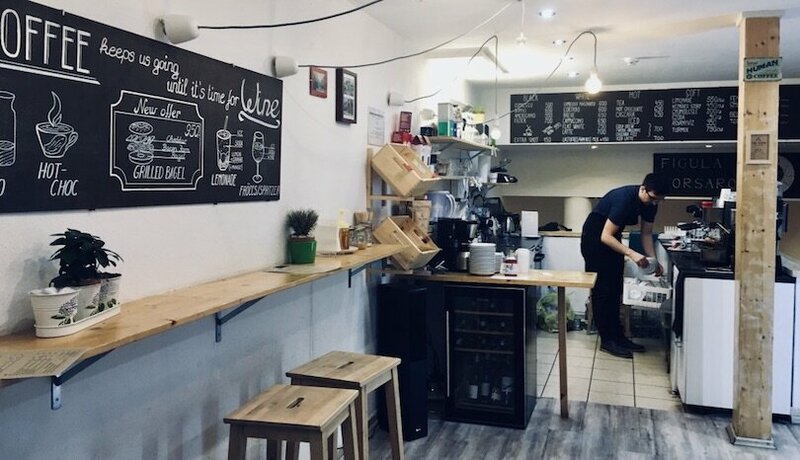 This little place is actually a coffee shop but they feature wines exclusively from Figula, which is a winery in Balatonfüred, right at Lake Balaton. The selection is straightforward and cheap and the taste is good. The atmosphere is as casual as it gets and the place itself is very local. Many come here to study and for a good dose of coffee, while it’s a popular hangout for meeting and chatting with friends. The area itself around Mórizs Zsigmond Square is quite un-touristy and the place lends itself for a glass or two after shopping at Fehérvári Street Market. Bonus: The coffee here is also more than delicious, so if you’re here too early you can have a cup before switching to wine. Address: Bartók Béla út 62-64. Galéria 12 is a typical, residential, super-pleasant Buda-place very close to Széll Kálmán (Moszkva) Square. 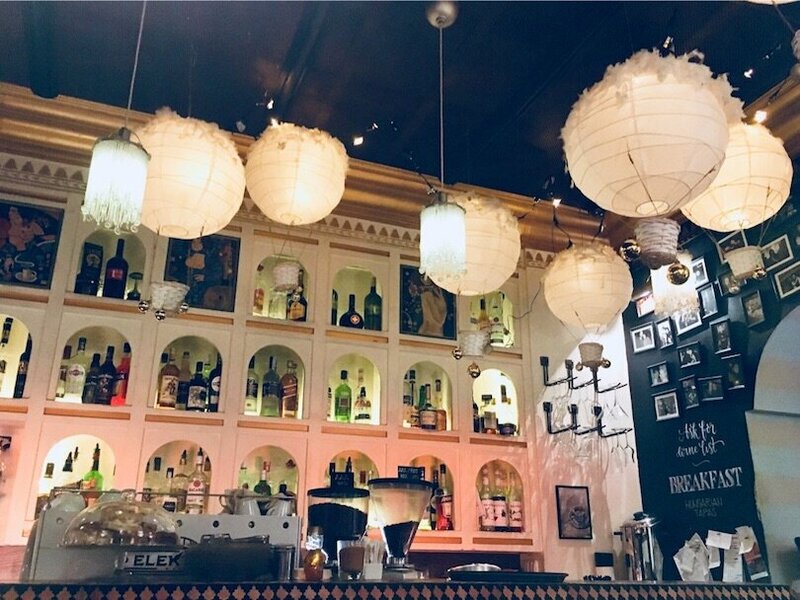 This place is literally as local as it gets; the prices are fair and the tapas are delicious – try the Bruschetta-mix with homemade spreads and salad! Or go for the cheese platter. But you can also come really hungry, since Galária 12 also serves hamburgers. A special feature of this place is that it displays and exhibits artworks of the 12th district of Budapest. 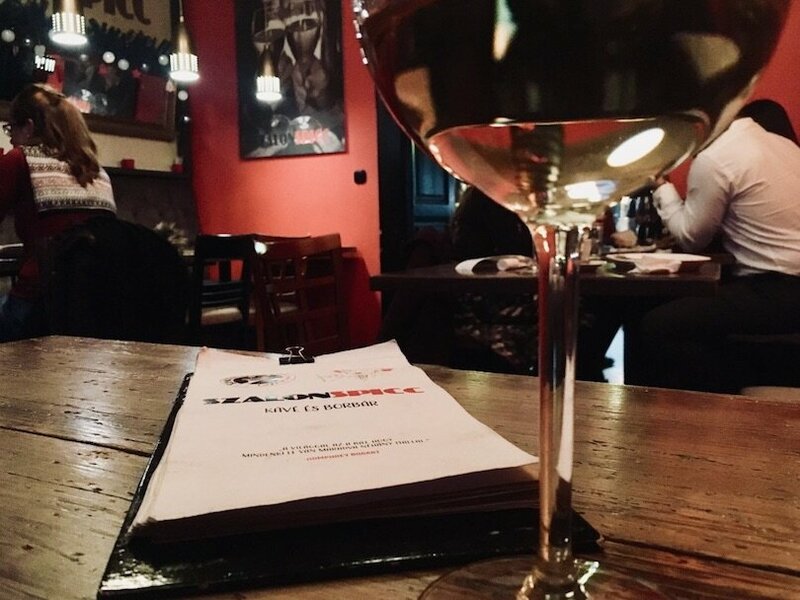 The mission of this place is to become a meeting point for wine-and art lovers of the 12th district and beyond and – in our opinion – they highly succeeded in this! We’re by no means sommeliers but we sure like to know what we’re indulging in. Hungary is actually home to many-many grape varieties and the places we’ve mentioned above got you covered in all of them. 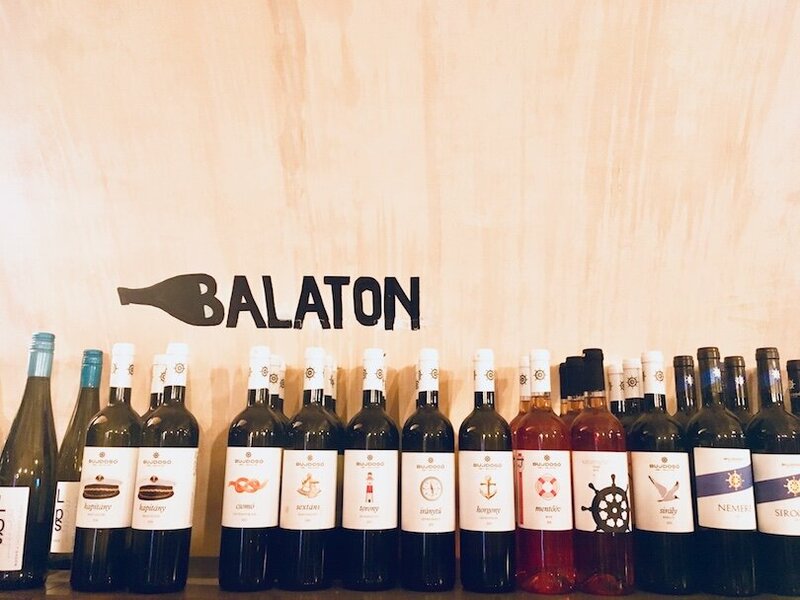 The next time you’re at a night out don’t settle for a cheap “folyóbor” flowing wine, but ask for one of these specialties and get to know the under-recognized land of wine empirically. Happy indulging! Bikavér is a red cuvée wine, meaning that it is a mix of two to three different red grapes. It is only being produced in the wine region of Eger, 150km northeast of Budapest and Szekszárd (southern Hungary). It has a very characteristic spicy and fruity taste. Note that “bikavér” literally means “bull blood”, since that’s what the colour of this wine apparently resembles. But rather don’t think about it. Cserszegi Fűszeres is named after its origins in Cserszegtomaj, near lake Balaton. “Fűszeres” on the other hand means “spicy”. The wines of these grapes are dry or half-dry and the grapes themselves are a crossbreed of Irsai Olivér (see below) and Gewürztraminer. Hárslevelű literally means lime-tree leaf-y and is planted in the tiny wine-region of Somló, as well as in Tokaj. It is used to produced dry white wines and their taste is characteristic and rather heavy. Irsai Olivér is a white wine which is mainly produced in the wine region around Pannonhalma (western Hungary) as well as in the Balaton-region. Its taste is very similar to that of Muscat grape varieties. Another grape-variety used for dry, white wines from the Somló-wine region. It’s smell and taste are not as aromatic as Hárslevelű, but the after-taste is strong and resembles an almond-y bitterness similar to Welschriesling. Kadarka is grown in the wine region near Szekszárd in southern Hungary and makes for a spicy, full-bodied red wine. The grapes are very prone to rot and sensitive to winter frost but still need their time to ripen. Therefore it is dependent on ideal weather conditions, since its characteristic taste gets lost if harvested too early. Kéknyelű is another white wine grape that is solely produced in the wine-region of Badacsony, right at Lake Balaton. Its wines have a sophisticated smell and reminds of flowers, green spices and fruits. It is a high acidity-wine and needs a long time to ripen in order to reach its ideal, full-bodied taste. 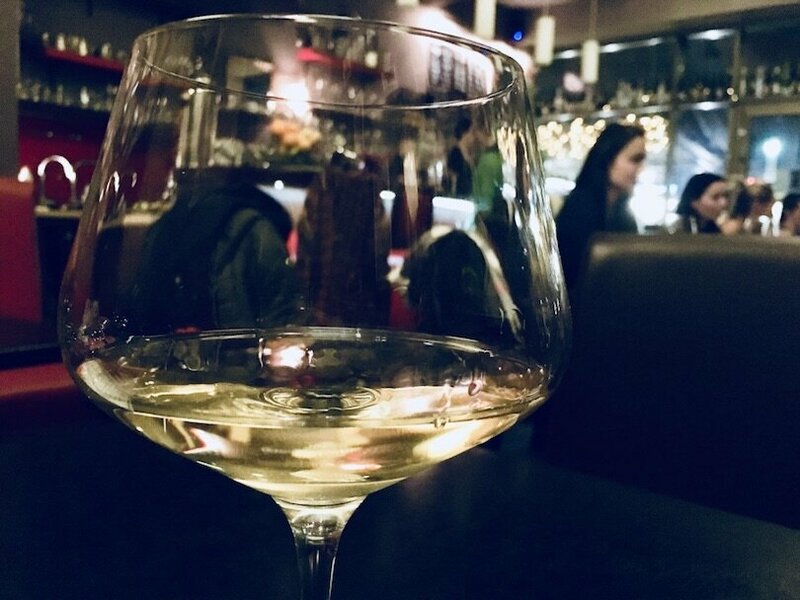 And last but not least, since no Hungarian wine-list can be complete without this one: Aszú is probably the most well-known white wine grape that’s even heard-of beyond Hungary’s borders. It’s really tasty but note that Tokaji Aszú is typical dessert-wine and is super-sweet! The peculiarity of this sort of wine is, that the grapes actually start “noble” rotting process before being further processed. 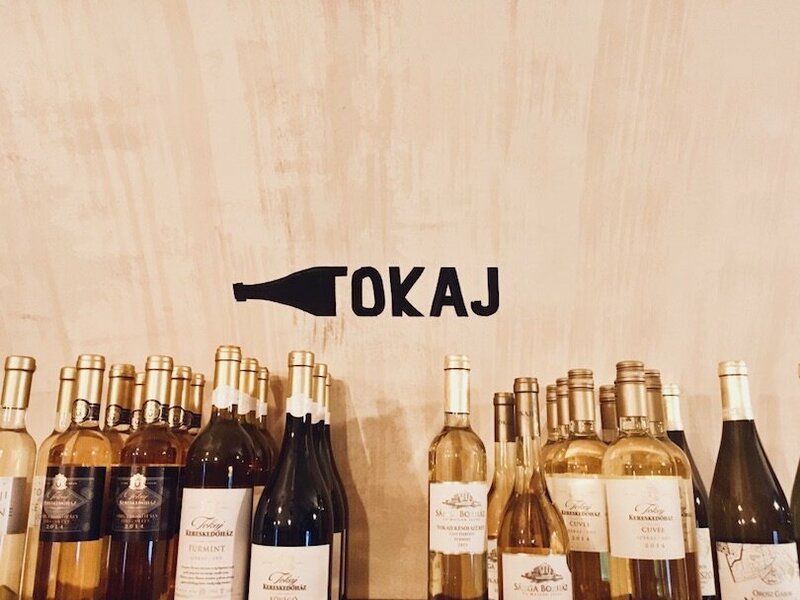 The name originates from the region Tokaj in northeastern Hungary, which is probably the most famous Hungarian wine region. And now it’s your turn: Tell us everything else there’s to know about Hungarian wines and grape varieties and le us know if we’ve missed out on your favourite place in the comments! Also, follow us on facebook for all the Budapest-info that didn’t make it into a whole article on our blog yet! And see our Insta for our favourite photos of the capital and their background infos. End enjoy these amazing little wine-places – they will sure make you forget your winter blues for a while!